For any business owner, the task of seeking translation services and transitioning into the global market can be quite overwhelming. So, what’s a business owner to do when searching for a translation expert? Here’s my list of do’s and don’ts that will hopefully help you to understand the complexities of the translation field and the smartest way to seek for translation services. Don’t randomly search the Internet – Just do a quick search under “translation services” and you’ll see what I mean—you’ll get thousands of options. From one–hour translation services to agencies offering translations in every language with a 24-hour turnaround time—the options are daunting and very confusing. It is definitely not the way to find what’s best for you and your business. 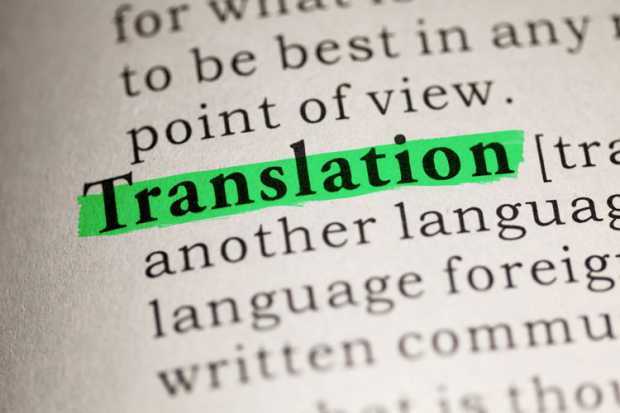 Don’t go for the lowest price – Translation pricing is a very complex subject, and unfortunately, there are many translation agencies offering a price per word that is ridiculously low and a turnaround time that is too good to be true. As a translator, I have a hard time believing that these low priced translations are also high quality–it just doesn’t make sense. For example, if an agency charges 0.07 cents per word to the client, how much of that will the translator end up receiving? Maybe 0.04 cents? The less a translator gets paid per word the more likely he/she will try to get through a translation job in the least amount of time to be able to get their hands on more translation work to make a living–which in the end may compromise quality. Of course, there may be exceptions, but in most cases, you will always get what you pay for. If it’s quality you’re after, avoid choosing the lowest bidder. Don’t hire your bilingual neighbor – You have a friend who lived in Mexico for a couple of years and is now fluent in Spanish. Or maybe you know Pedro down the street who grew up bilingual in the Los Angeles, CA area. You would like to save some money and you’re thinking of hiring one of them. Well, think again. Bilingualism does not equip an individual with the right abilities and writing skills to be able to perform a quality translation. Many people are able to communicate and get by in two languages, but communication skills are different from having the ability to write well. If it’s quality you’re after, hire a professional in the field. Just like not every American is a good writer, not every bilingual person can translate and provide a high quality product. Just like not every native speaker is a good writer, not every bilingual person can translate. Do know your audience – Before reaching out to any agency or freelance translator, remember to do your research and know your audience. Are you trying to reach the Latinos in the U.S., a specific Mexican niche in Miami or Chicago, or the Latinos in South America? Also, are you wanting to translate your business website content, come up with a new slogan in the new language, or translate instructional manuals? What are your specific needs? But most importantly, what is your business about? Is your business related to the medical, legal, or education field? Having all of these details specifically defined will help you in your search for a translator, as most translators work in a specific niche or area of expertise. Do ask for referrals – Referrals is probably the best way to find a translator that’ll end up being the best match for your business. There are probably many other businesses in your field that have already hired translation services. Get some names and phone numbers from them. Visit their websites and learn about their translation business. Read their testimonials. Ask them to send you samples of their work. Whether you end up choosing a freelance translator or an agency, make sure you evaluate their credentials and that they offer the services that you are looking for. Trust me, there are a lot of bad translators out there, so be careful and do your research. I’m actually very impressed with TM-Town’s matching platform and how they are able to match clients with professional translators based on their previous translation work, which each translator uploads to the site to be used as reference for the matching process. Absolutely genius! Do hire a freelance translator – There are many benefits to hiring a freelance translator. Unless you are needing translation services in multiple languages, working directly with a qualified translator in the language pair and the field of expertise that you need is by far your best option. For more details, check out Marion’s blog post A Post for Translation Buyers: Advantages of Hiring a Freelancer. So, was this blog post helpful to you? As a business owner wanting to buy translation services, what are some of the issues you have encountered? Anything that we as professional translators could be doing differently? Feel free to share and/or comment down below! ⟵Translators & Interpreters: Is There a Difference? Thank you, Magda! I believe it is time for anyone seeking translation services to realize that a high quality product does not come from paying pennies. Just like we would not ask an accountant or a lawyer to lower their prices and still provide quality, the same goes with translation services. Thank you for sharing my post and for commenting! Thanks for the well written and organized article, Beverly. I enjoyed reading it and full-heartedly agree with everything you have included and explained. Hope there are many who read and are able to make the right choice! Thank you, Marta! I sure hope it helps someone out there. Thanks for commenting!